This design spoofs the phrase I'm with the Band, but reads instead I'm with the BANDERS. Bird banding is a great aid to the study of birds. 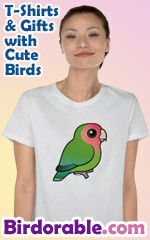 This is a cute gift idea for anyone that bands wild birds.